Family violence assault is one of the most common assault charges in Texas. A family violence assault charge is similar to other assault cases except that the victim is related to the assailant by blood or relationship such as marriage. 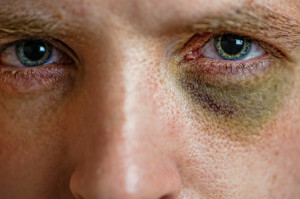 The penalties for assault family violence can be severe and include significant jail time and you will want to work closely with a Dallas criminal defense lawyer. Prosecutors will need to show that you intentionally and knowingly engaged in these acts. Assault family violence charges are usually characterized as Class A misdemeanors. Someone convicted of the crime could face jail time and other penalties. However, if the defendant is a repeat offender, that person could face a third degree felony charge and significant prison time. One of the most important tasks for your Dallas Family Lawyer is to determine if any of the jurors might have any bias against you. Few other things will sink your case faster than a jury that is not objective. Read this slide deck to find out how to identify and exclude any biased jurors. If you have been accused of domestic violence, you will want to contact experienced counsel. Family violence charges oftentimes involve he-said/she-said with very little evidence. To learn how a Dallas family lawyer can help you, contact The Law Office of John L. Corn, P.C at 214-528-4529.